Kids get to create their own adventures in scenes they create from written prompts with over 150 stickers! In Sticker Stories: Under the Sea Escapades, kids will get to create their own adventures in scenes they create from written prompts with over 150 stickers! What tall tales happen under the sea? With this unique activity book, you get to tell the story! Each page features a story prompt and a colourful scene to complete with the stickers inside. 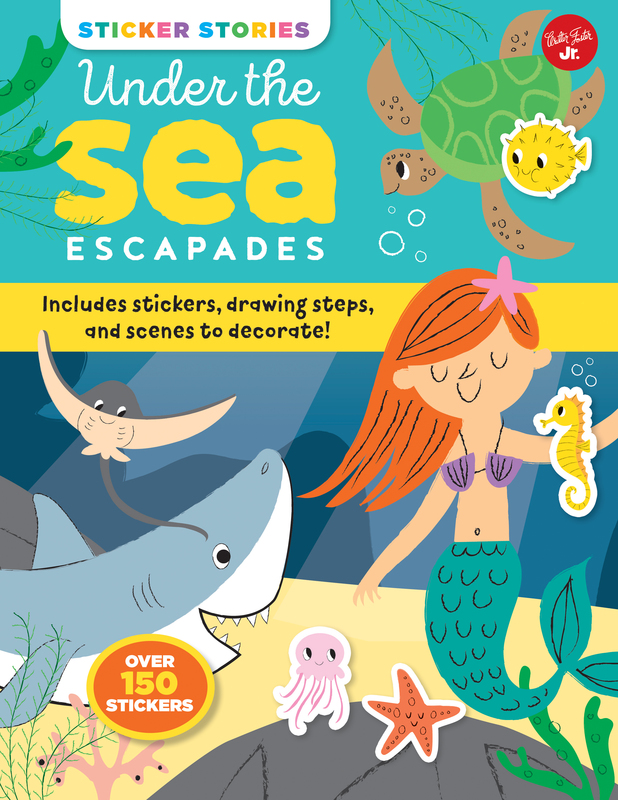 With more than 150 stickers and a dozen scenes to make your own, Sticker Stories: Under the Sea Escapades is a fun, interactive book which will provide hours of entertainment. Featuring the adventures of pirates and buried treasure, colourful tropical fish and mischievous sharks, and beautiful mermaids and friendly dolphins, there are so many stories just waiting to be told! Sticker Stories: Under the Sea Escapades is filled with bright and cheery illustrations in a retro-modern style by Nila Aye, including some simple step-by-step drawing lessons, kids can tell their own stories as they learn to draw. This is definitely the perfect jump-start into storytelling and drawing for young authors and artists!